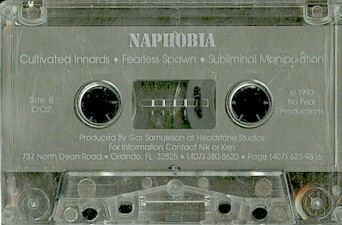 Florida Death metal band started around 1989 releasing two demos. One in 1991 and the other in 1993. A full length was released in 1995 titled Of Hell. Pro printed 4 panel covers with lyrics on back. Pro printed clear tapes.